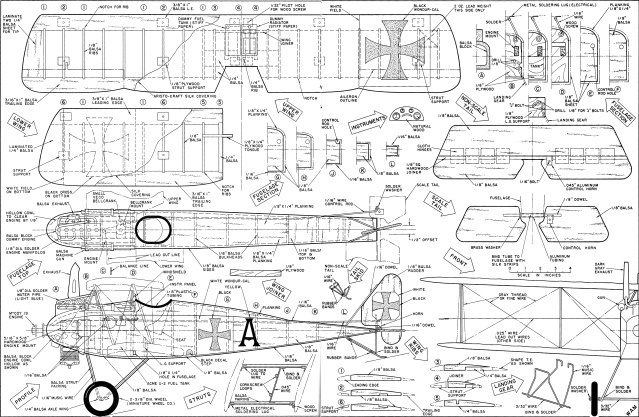 Website visitor Steve Chesnek wrote back around February of 2010 asking for the highest resolution version I had available of the plans for the Halberstadt D.II biplane. After receiving the digital scan that I made from the January 1968 edition of American Aircraft Modeler, Steve set about constructing is unbelievably fine example of the airplane. 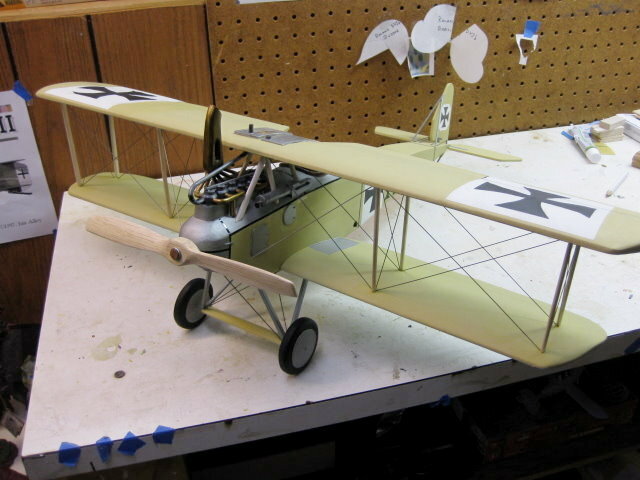 I always ask people to send me photos of their completed models after sending plans files, but rarely do any arrive. This is an example of why I don't mind providing the free service; occasionally, the rewards are huge. Say Steve: "Hi Kirt, Thanks for the compliment. I appreciate it. It's nice to get feedback as I just build them and when it's done, my wife and kids say 'that's nice" and I put it on the shelf to get dusty. 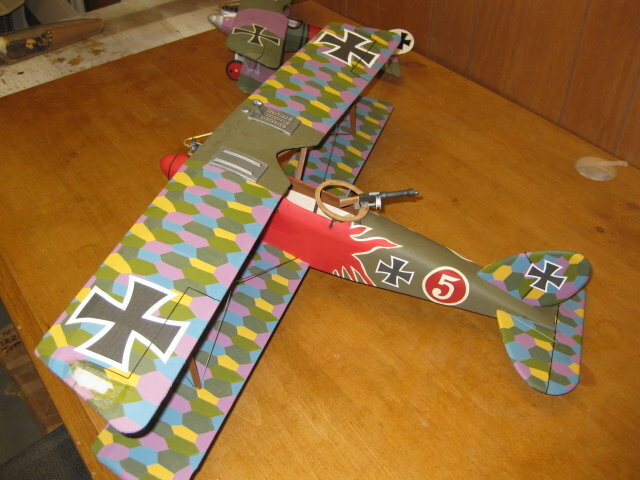 The Halberstadt D.II has a 24" wing span. 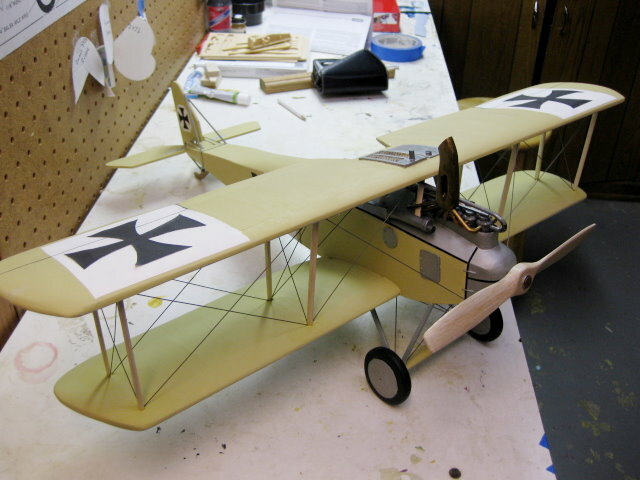 It's sheathed in 1/32 balsa. The engine are dowels and other bits of balsa to try to look enginey. 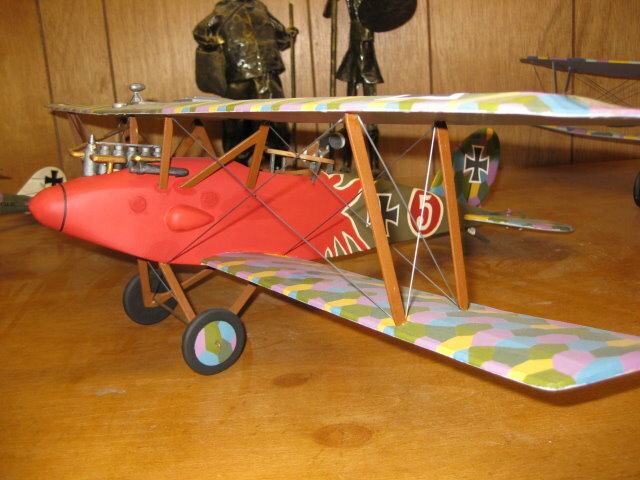 The exhaust pipe is carved from a block of balsa as is the propeller. For the pipes I use the spars from plastic model kits that I bend over a candle. I haven't thought about any competition. I know a lot of guys out there are really good at this. Please use this on your web page [I asked permission to post them]. I'd be honored. 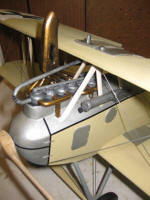 I just ordered a set of plans from X-PLANS for a LVG CVI. I'll probably start on that soon and I'll keep you in the loop if your interested. Thanks again. 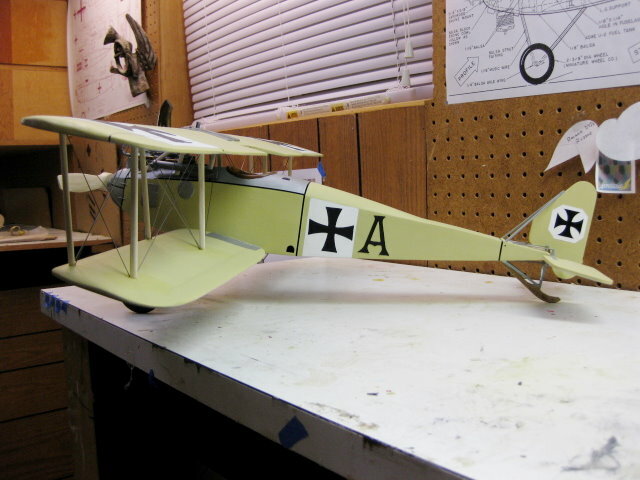 Steve"
Here is the Halberstadt D.II page. and also has a custom furniture shop.